The terms, conditions and policies set forth on this page are legally binding. You agree that you will not otherwise copy, modify, alter, display, distribute, sell, broadcast or transmit any material on the Site in any manner without the prior written permission of BDO. While BDO uses all reasonable efforts to ensure that the information contained in this Site is accurate and reliable, BDO makes no warranties or representations as to the accuracy, correctness, reliability or otherwise with respect to such information, and assumes no liability or responsibility for any omissions or errors in the content of this Site. BDO will periodically revise the information, services and resources contained in this Site (pursuant to its sole and absolute discretion) and reserves the right to make such changes without any obligation to notify past, current or prospective visitors. BDO does not accept or consider any creative ideas, suggestions or materials from the public (“Submissions”), therefore, you should not make any Submissions to BDO. If you do send us a Submission, despite our request not to do so, then such Submission will be considered non-confidential and non-proprietary and shall immediately become the property of BDO. BDO shall exclusively now and hereinafter own all rights, title and interest therein. BDO will be free to use any Submissions for any purpose whatsoever. THE WEBSITE IS PROVIDED ON AN “AS IS” BASIS. BDO EXPRESSLY DISCLAIMS ALL WARRANTIES, INCLUDING THE WARRANTIES OF MERCHANTABILITY, FITNESS FOR A PARTICULAR PURPOSE AND NON-INFRINGEMENT. BDO DISCLAIMS ALL RESPONSIBILITY FOR ANY LOSS, INJURY, CLAIM, LIABILITY OR DAMAGE OF ANY KIND RESULTING FROM, ARISING OUT OF OR ANY WAY RELATED TO (A) ANY ERRORS IN OR OMISSIONS FROM THIS WEBSITE AND THE CONTENT, INCLUDING BUT NOT LIMITED TO TECHNICAL INACCURACIES AND TYPOGRAPHICAL ERRORS, (B) ANY THIRD PARTY WEBSITES OR CONTENT THEREIN DIRECTLY OR INDIRECTLY ACCESSED THROUGH LINKS IN THIS WEBSITE, INCLUDING BUT NOT LIMITED TO ANY ERRORS IN OR OMISSIONS THEREFROM, (C) THE UNAVAILABILITY OF THE WEBSITE OR ANY PORTION THEREOF, (D) YOUR USE OF THIS WEBSITE OR (E) YOUR USE OF ANY TOOLS, SUPPLIES OR EQUIPMENT IN CONNECTION WITH THE SITE INCLUDING IN CONNECTION WITH ANY CRAFT, COOKING OR DECORATING IDEA(S) INCLUDED ON THE SITE. In no event and under no legal or equitable theory, whether in tort, contract, strict liability or otherwise, shall BDO be liable for any direct, indirect, special, incidental or consequential damages arising out of any use of the information contained herein, including, without limitation, damages for lost profits, loss of goodwill, loss of data, work stoppage, accuracy of results, or computer failure or malfunction. You agree to defend, indemnify and hold BDO harmless from and against any and all claims, damages, costs and expenses, including attorney’s fees, arising from or in any way related to your use of the Site. The information contained herein constitutes the entire agreement between Site users and BDO relating to the use of this Website. As a convenience to users, this Site may link to other sites owned and operated by third parties and not maintained by BDO. However, even if such third parties are affiliated with BDO, BDO has no control over these linked sites, all of which have separate privacy and data collection practices and legal policies independent of BDO. BDO is not responsible for the contents of any linked sites and does not make any representations regarding the content or accuracy of material on such sites. Viewing such third-party sites is entirely at your own risk. Unless otherwise noted, the graphic images, buttons and text contained in this Site are the exclusive property of BDO, or a license has been issued for their use by BDO. Except for personal use, these items may not be copied, distributed, displayed, reproduced, or transmitted, in any form or by any means, electronic, mechanical, photocopying, recording, or otherwise without prior written permission of BDO. BDO will remove the infringing posting(s), subject to the procedures outlined in the Digital Millennium Copyright Act (DMCA). This Site features logos, brand identities and other trademarks and service marks (collectively, the “Marks”) that are the property of BDO. Nothing contained on this Site should be construed as granting, by implication, estoppel, or otherwise, any license or right to use any Mark displayed on this Site without prior written permission of BDO or any such third party that may own a Mark displayed on the Site. Personal Data: Personal Data is information that can be used to identify you specifically, including your name, shipping address, email address, telephone number or demographic information like your age, gender, or hometown. You consent to giving us this information by providing it to us voluntarily on our website or any mobile application. You provide some of this information when you register with or make purchases from our website. You may also provide this information by participating in various activities associated with our Site, including responding to blogs, contacting us with questions, or participating in group training workshops. Your decision to disclose this data is entirely voluntary. You are under no obligation to provide this information, but your refusal may prevent you from accessing certain benefits from our website or from making purchases. Social Networking Data: We may access personal information from social networking sites and apps, including Facebook, Instagram, LinkedIn, Twitter, Pinterest, YouTube or other social networking sites or apps not named specifically here, which may include your name, your social network username, location, email address, age, gender, profile picture and any other public information. If you do not want us to access this information, please go to the specific social networking site and change your privacy settings. Third Party Processing: We may disclose your information to third parties who assist us with various tasks, including payment processing, hosting services, email delivery and customer service. We may not always disclose these third-party processors if not required by law. Like many other websites, we make use of log files. These files merely log visitors to the site – usually a standard procedure for hosting companies and a part of hosting services’ analytics. The information inside the log files includes internet protocol (IP) addresses, browser type, Internet Service Provider (ISP), date/time stamp, referring/exit pages, and possibly the number of clicks. This information is used to analyze trends, administer the site, track user’s movement around the site, and gather demographic information. IP addresses and other such information are not linked to any information that is personally identifiable. For the most part, we do not process your information in-house, but give it to third party processors for processing. For example, when PayPal takes your payment information, they are a third-party processor. They process your payment and remit the funds to us. So, in many instances, it will be necessary for us to transmit your information to a third-party processor, as we do not have the capability to perform these functions. More detail on third party processing is below. Update Account Information: You have the right to update or change any information you have provided to us. 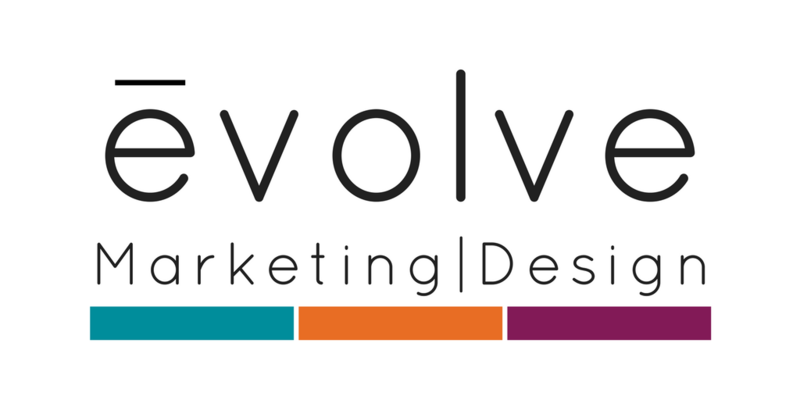 To update or delete your information, please contact us at info@evolvemarketingdesign.com. Emails and Communications: You may opt out of receiving future email correspondence from us by checking the appropriate box when you register for the account or make a purchase. You may change your communication settings by contacting us at info@evolvemarketingdesign.com. Marketing Communications: You may opt out of receiving any third-party marketing communications or having your personal information used for marketing purposes. You may do this by contacting us at info@evolvemarketingdesign.com. We offer the opportunity for you to volunteer certain information to us that is used for email and marketing purposes. This information includes, but is not limited to, your name and email. You will have an opportunity to unsubscribe from any future communications via email, but we reserve the right to maintain a database of past email subscribers. We reserve the right to use this information as reasonably necessary in our business and as provided by law. Your information will be shared with reasonably necessary parties for the ordinary course of conducting our business, such as through Facebook ad marketing campaigns.